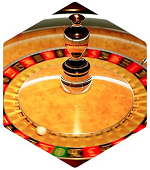 Roulette Bets – The most important thing when playing roulette is understanding the table and the fields to bet on. Those people that never have placed bets on the roulette table might think one can only place bets on numbers with the roulette game but that is not the case. There are several betting-options with this popular table-game. Playing live casino roulette is the best way to go over all betting possibilities on the table. 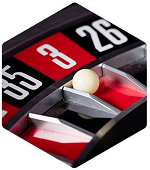 When placing bets at the roulette table you place your chip on the field with numbers, colors or other betting-fields. The numbers are placed in three separated columns (like an excel sheet). Each column holds 12 different numbers. The simple way to place bets is to choice one (or several) number(s). But to spread your risk one can also place on corners, lines and a multitude of numbers. There are two different bets at roulette, Inside Bets & Outside Bets. Straight betsare those placed on a specific number. To play a straight bet the player places a chip on the center of the number one desires to play. when winning with this bet the pay-out is 35 times the bet placed. Split bets – Want to play more number with one chip? Then you can do so by placing your chip on the middle of the line between two adjacent numbers. 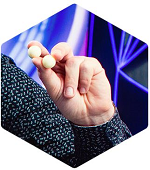 In the lucky case one of the two numbers “falls” the player cashes 17 times the bet. Street bets – Spreading the risk even more can be done by placing streets bets. The “play a street” one just places the chip right outside of the row of the three numbers one wants to play. with a bit of luck you can win eleven times the value of your bet. Corner bets – Placing a bet on the four corners of four adolescent numbers is called the corner bet. Just place your chip right on the crossing line of the four corners of neighboring numbers and your chances are winning eight times your stake. Five bets -Placing bets on the number 0, 00, 1, 2 and 3 are also known as the “five bets”. Playing this bet is easy, just place you chip on the line that divides the 0 nd the 1. The Five Bet pays out 6 times when one wins the bet. Six Line bets – When a player decides to play on two rows of adjacent numbers this is referred too as a Six Line Bet. The chip is put on the outer-line where the two rows meet each other. A winning Six Line Bet earns you a six times pay-out. Even Money bets – The Even Money bet is named after the even pay-out, in other words “you win what you bet”. Often it is referred too as the 1:1 pay-out. Bets that can qualify for the Even Money Bet are Evens or Odds, Black/Red and the lowest numbers (1-18) and highest numbers (19-36)*. Dozen bets – As “a dozen” equals a pair of twelve is should come as no surprise that this bet is placed on a combination of twelve individual numbers. Dozen bets can be placed on the groups 1-12, 13-24 and 25-36. There are special fields on the roulette table where one can place the chips one wants to bet on these groups. Winning with the right dozen bet results in a pay-out of 2 to 1. 0 and 00 bets – A winning bet placed on the numbers 0 (or 00 laying the US roulette version) pays 35 times to stake. Column bets – Playing the column fields is simple. Just place your chip on the 2:1 fields on the roulette board. Pay-out for column bets is 2:1. Roulette – did you know? – All the numbers on the roulette wheel ad up to 666… the Devil's number! – The biggest consecutive run of the “boulette” dropping in a red pocket was 36!! – The largest run on the same number is 7 times. It happened in Vegas when number 19 came up 7 times in a row! “In roulette, an announcement made by the croupier while the wheel is spinning and no more bets can be placed. What are the right roulette bets?! Well to be honest we don't know… Wining with bets placed on roulette depends mainly on “good fortune” or luck if you wish. But besides that there can be other factors in play. Ever heard of Cold and Hot numbers at Roulette for example?! And what about playing roulette with systems or strategies? These are all factors that could influences your chances on winning with roulette. In principle there should be no difference when playing roulette in live casino or when betting on the software games. 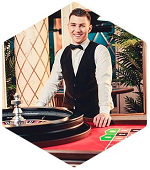 Nevertheless there are tons of (semi-professional) players out there that are convinced that playing at a certain table or against a specific dealer gives them advantage to win with roulette. Is this “gut-feeling” or reality? We would be able to answer that question. Best is to try it out for yourself. Always remember when placing a bet at Roulette that you; can lose your bet, need to play responsible and don't exceed your bankroll!